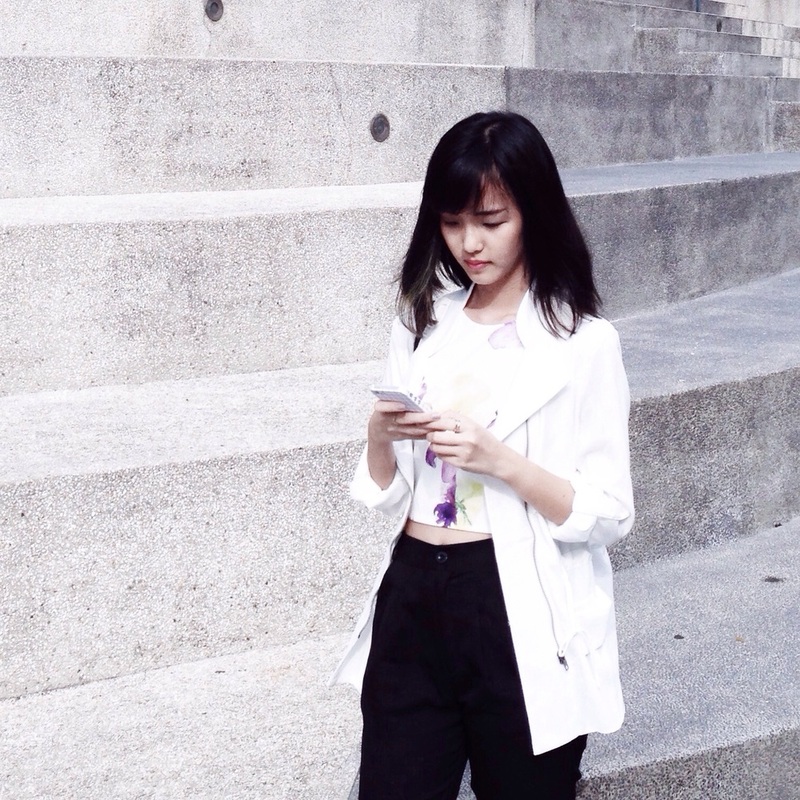 Today's outfit for the rainy weather in Singapore lately, wearing my first ever parka (yay) from Dolly Girl Fashion. Though I'm a lover of outerwear, I've never thought of getting a parka because I thought it'd be too formal (and kinda strange) to wear in Singapore. This parka definitely caught my attention with its clean and minimal design and sleek details, and I thought "why not?". Thought it'd be perfect for the year-end weather anyway, and I'm so glad I got it because I foresee it being one of my wardrobe staples. Paired my parka with a pair of slim-fit pants as well as a floral crop top (also from Dolly Girl Fashion). Yes, I practically live in crop tops because of my petite frame. I'm usually not that a fan of loud prints, but the watercolor-esque floral prints on this one crop top was subtle yet enough to dress up the whole look , making it the perfect crop top to go with almost any other bottoms. Parka-lovin' on my favourite day of the week. What are your plans for the week ahead? I can't wait for December to come already! It's amazing how 2014 just went by and we're officially 32 days away from 2015, if you haven't realised. Make the best out of them!